Flu shots are now available. Just walk-in. No appointment necessary. Get Ahead of Flu Season! 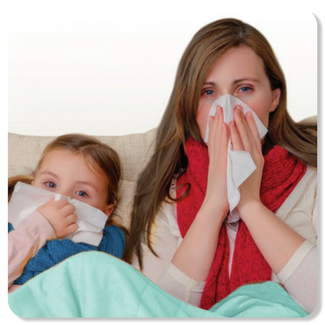 Remember your last bout of flu – body aches, runny nose, sore throat, fever, chills, fatigue? While a flu shot does not guarantee prevention, it can strengthen your body’s ability to ward off more severe and lasting symptoms. Flu is a respiratory illness which can be mild to very severe leading to hospitalization due to complications such as pneumonia. It is caused by the influenza virus which is believed to spread by droplets from coughing, sneezing and talking within six feet of someone infected. Flu season varies year to year but typically begins in October, peaking between December and February and tails off by April/May. Did you know that healthy adults may infect others beginning 1 day before symptoms develop and up to 5 to 7 days after becoming sick with the flu? 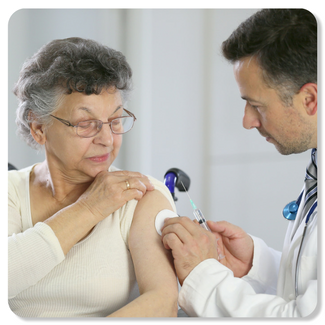 The CDC recommends an annual flu vaccine for everyone over 6 months of age before the end of October if possible. Given it is a respiratory illness, some people are at even higher risk from the influenza virus including those 65+ years, those with chronic conditions, such as heart disease or asthma, pregnant women, and young children. 1How can I know if it is the flu or a severe cold? The symptoms are very similar as they are both caused by viruses. Typically the flu will come with more severe symptoms including fever, vomiting and body aches. 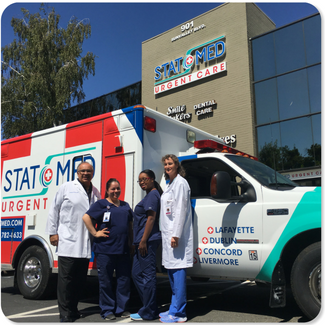 STAT MED Urgent Care can administer a rapid influenza diagnostic test by taking swabs of your nose and throat. 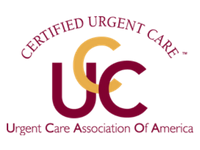 Your physician will discuss your specific symptoms with you and determine the best course of treatment. 2Should I still get a flu shot if I've already had a flu-like illness? Yes. There are many types of flu-like illnesses, and the flu vaccine will boost your body’s immune system. 3Why do flu shots vary year to year? The FDA makes the final decision on the vaccine composition based on findings from world health experts predicting the most likely three to four strains of influenza that are likely to cause illness in the coming year. 4Can I get the flu from a vaccine? No. The flu vaccine is made from the weakened parts of the targeted flu strains of influenza to get your body’s immune system to fight the virus. However, some people may experience minor side effects from the vaccine itself such as mild soreness at injection site or slight achiness. And opening soon in Livermore!